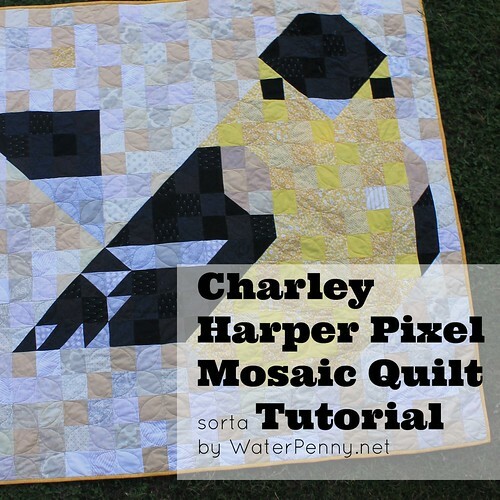 I’ve long been obsessed with making Charley Harper quilts for years now – I love his artwork! However, I can’t seem to make my self finish one of them! 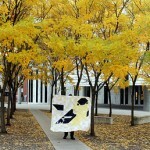 Here is a an early process shot of my goldfinch quilt and here is the finished top from last fall. Miraculously, I made the back and basted that yesterday, so hopefully photos soon of that coming along! 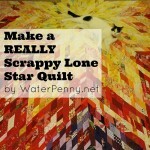 May be a few years before I can decide how to quilt it – but I’m thinking orange peels? 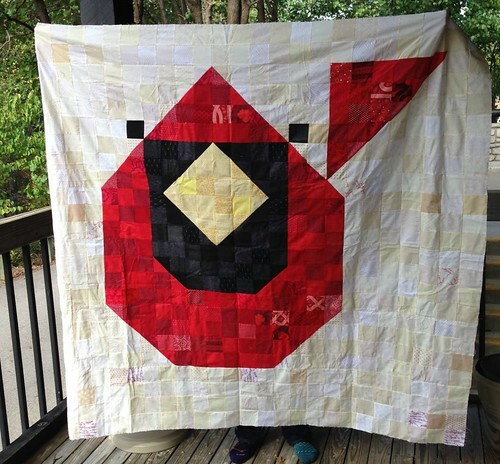 I also started a cardinal version last fall at the #OHCraft Retreat that the amazing Kara puts together every year – maybe I’ll finish it at this year’s retreat? Update! I did finish it! Details here. 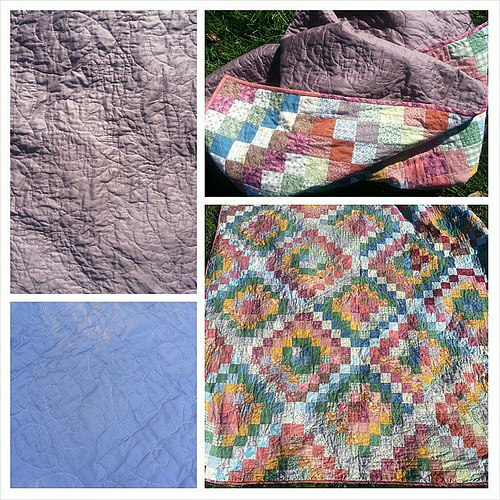 Anyway, a few people have asked me for a pattern for these quilts. I don’t have anything fancy to share, but I will share details on my process that should make it a lot easier for you! Last winter I finally made it to see the mosaic in person! 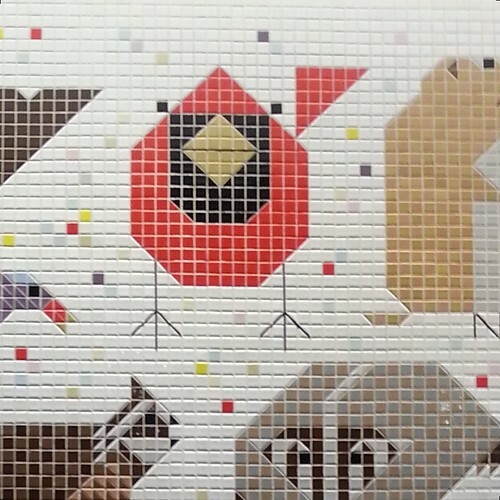 This mosaic is in a high security federal building in downtown Cincinnati. You have to go through metal detectors and I had to take off my shoes, because I was wearing boots with a metal piece in them. BLAH. Also the guards thought we were craaaaazayyy and couldn’t figure out what on earth I was trying to say because “We want to go see the mural right there (pointing to mural). We just want to look at it for a minute, because I like the artist.” Is not apparently effective communication to them. 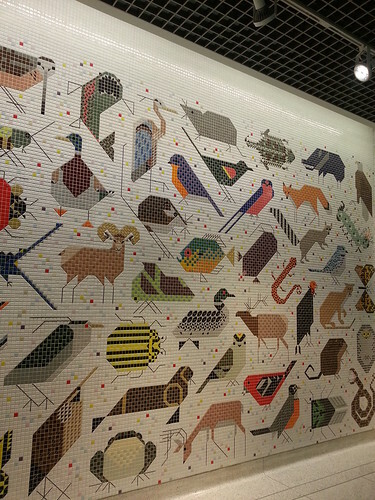 Anyway, after all that silliness, the mosaic is just off the lobby in a dimly lit elevator waiting area. 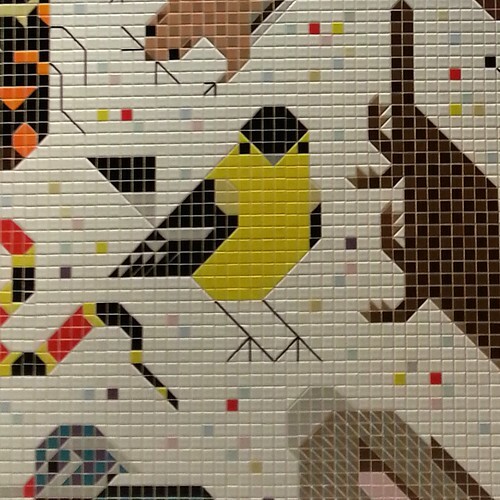 You are not “supposed” to take pictures of the mosaic, but you know, I had already taken my winter boots off to see this thing and was feeling entitled. And here is a close up of the legs – I could only find blurry pictures of the mural before I started. 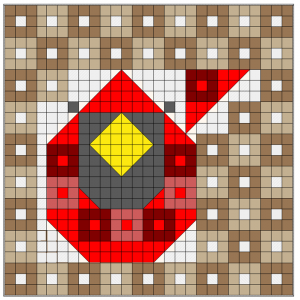 I am planning on quilting on the bird legs using black perle cotton, but wish I had pieced them using a 1/4 or 1/3 width of the square piece. OH WELL. 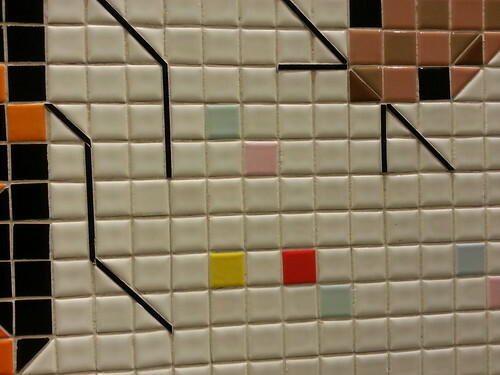 To make it I just looked at a picture of the mosaic and counted out the squares. I then made a mock up in EQ7. To help me plan, I did a version where I highlighted 9 patches that I could make in a solid color. 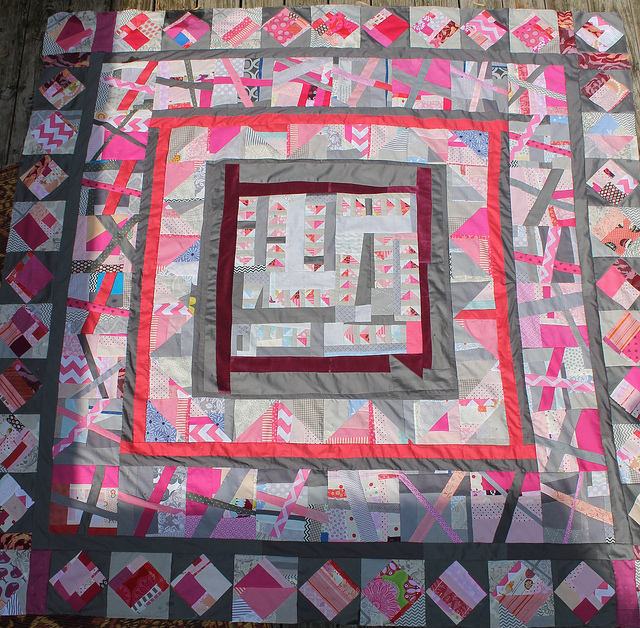 It made the quilting and layout go much faster! If I can find the post-it note with my goldfinch instructions, I’ll add those, but for now, here is the Cardinal layout for you! Above is the top as it stands right now. I would like to add a row or two along the top and left sides for balance, and I ended up wanting less neutral on the left side. 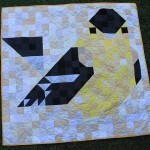 The block counts below are for the grid/layout draft below, not the quilt above! So if you want less neutral around the edge (or more!) you might plan accordingly. This tutorial isn’t finished yet, but I’m offering it up mostly done (just need to double check my square counts and maybe take some pictures, possibly offer yardage recommendations, things like that) for my friend Joanna who wants to make one for a Christmas gift and has been waiting since before last Christmas (I think!) for me to write this up for her! I’d love any thoughts people who tackle this have – tips for others, questions etc. If it is helpful, here is the count I did for the Cardinal quilt. I would recommend 5-10 different fabrics of each color if you are looking for a scrappy look. 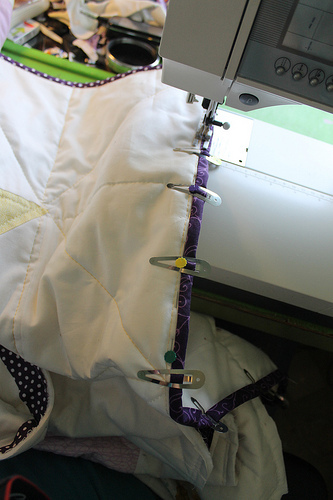 Tip 2: Strip piecing the nine patches (i.e. cutting three long strips, sewing them together, and then cutting them a part for 9 patches) is much faster than individual piecework for this. Since it’s scrappy, you can really save some time, especially in the background. Disclaimer: I have not double checked these numbers. 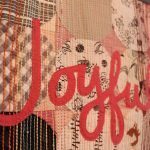 I will go through and do that at some point but at this point, you might want to double check my work using the mural above, or just be prepared to need to cut a few extra odds and ends squares. 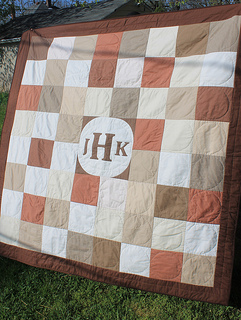 Using that size, the finished quilt will be around 74 inches square. 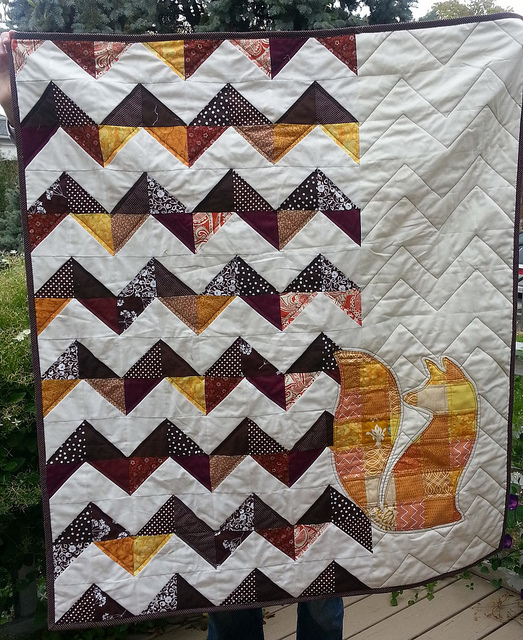 If you want a smaller quilt: I recommend a layout of around 27 squaresx27 squares (note the pdf isn’t – I added more neutral to the background) – so using that layout, if you use 2.5 inch squares (that finish at 2″) then it would finish at around 54″ Final size is also depending on how large you make the neutral background around the Cardinal, of course! As you have noticed, this is a very fast and loose tutorial – let me know if you have any questions! 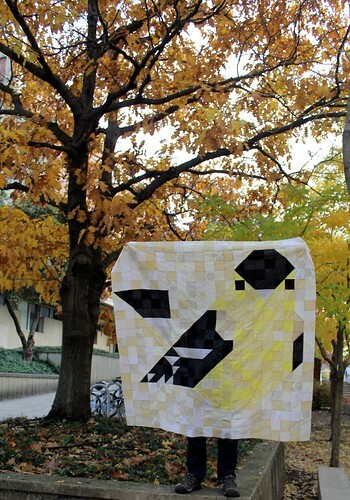 Pixelating is such a great idea that I want to try it. Not sure if I will try birds or cats or some other animals. I wonder if I could make it work for a spider? I signed up for your newsletter so I might “borrow” some of your other ideas.